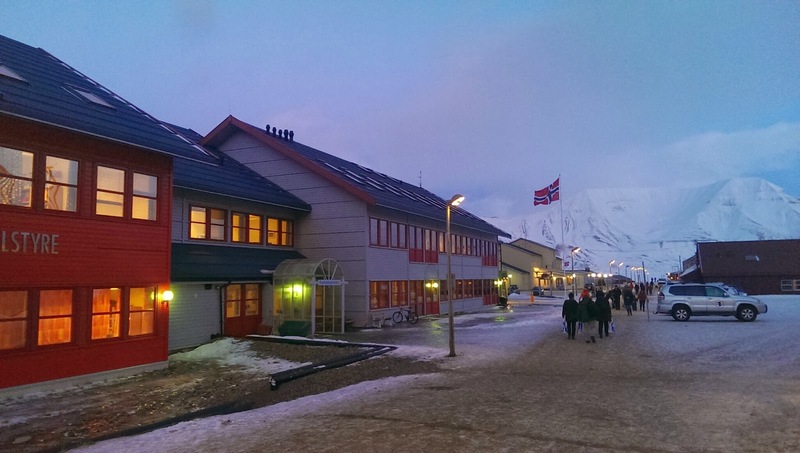 The town of Longyearbyen feels like a set in a western - the Wild West and the Wild North are perhaps similar in that they are both a bit, well, "wild", in all senses of the word. There's just one main street with all the necessities (supermarket, post office, town council, kindergarten, hospital, ugly early 90s strip mall) and not much more than a sprinkle of cottages and townhouses around it. Surrounding the town are mountains. Giant, majestic, permanently snowcapped and permanently empty. Their emptiness was directly proportional to my sense of hunger. It was like the vast expanse of wild nothingness that was around me was somehow equal to the emptiness of my stomach. That is of course, not entirely true. 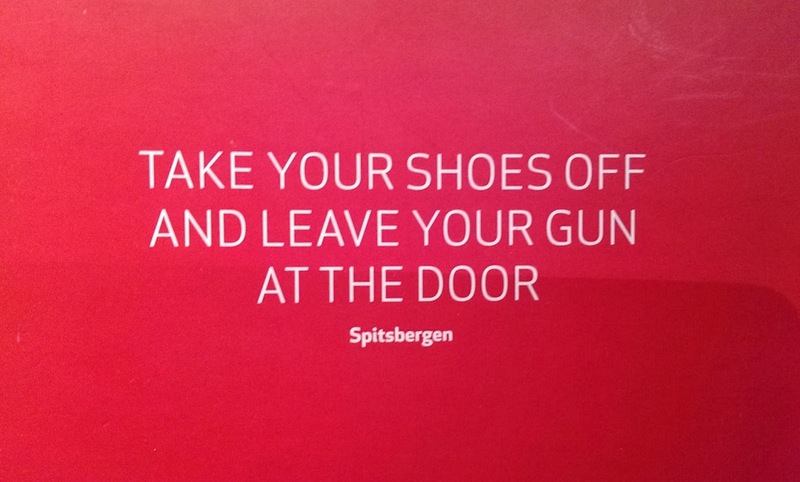 Armed with a gun and the ability to shoot it (both of which are almost a prerequisite for living on Svalbard - beyond the boundaries of town, you are required to bring a gun with you for self-defence against polar bears, which outnumber humans in Longyearbyen), the mountains and glaciers provide a veritable smorgasbord of Arctic delicacies. The Svalbard reindeer, for instance, is apparently a very docile animal, and is stockier than its mainland counterparts. The common seal is in abundance (the bearded seal, however, is very rare and at the risk of sounding like a crazed environmental activist, I would rather starve to death than kill one for food), and there are Arctic foxes, ptarmigans (that look like puffy, white-feathered chickens - yum) and all manner of other birds in spring, summer and autumn. Hunting and trapping were an important part of Svalbard's history, although it was primarily undertaken for skins and furs rather than food. These days, it's safe to say that most of the food locals eat is brought in from the mainland, or indeed from across the globe, and we didn't expect any different as the literature we'd read had all remarked on the apparently extortionate prices of food (among other things) in Svalbard (which is not entirely true - we were shocked to see that the supermarket prices were much the same as in Hong Kong, and our restaurant meals were even cheaper than what we'd pay for a comparable meal). 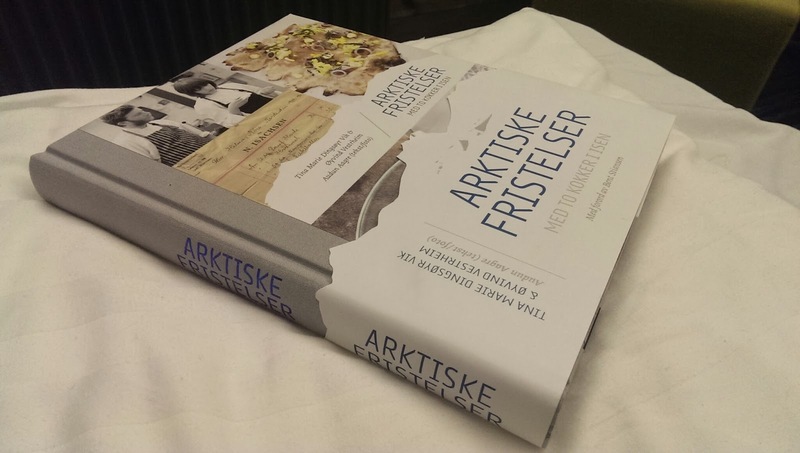 However, when we arrived in our hotel room, I found a beautiful book on the coffee table - Artiske Fristelser, which translates as Arctic Temptations - a cookbook written by a pair of ambitious young chefs, Tina Marie Dinsøyer Vik and Øyvind Vestrheim, who went to work in the kitchen of Huset i Longyearbyen, one of the town's most storied establishments. 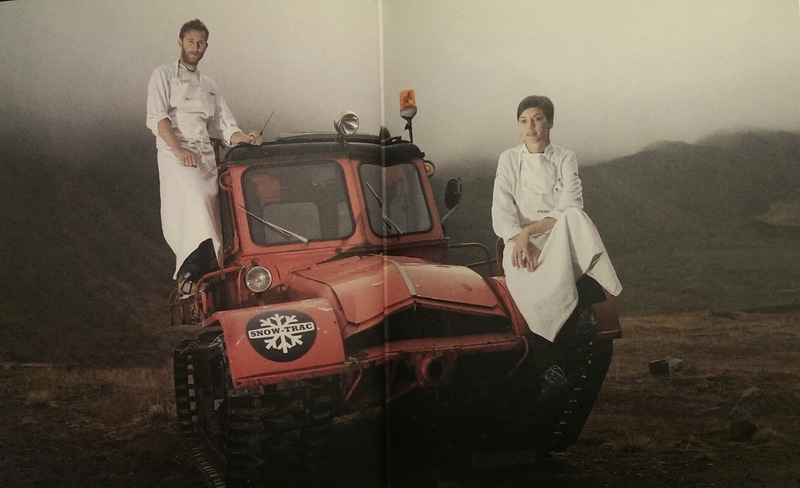 In the book, the pair demonstrates the surprisingly possibility of sourcing locally in such extreme conditions, and preparing them in a decidedly modern, "cheffy" fashion. Most of the proteins at least were hunted in Svalbard. At times, the environment itself became the cooking method, as in the case of the refrigeration of the "ice cake" dessert. 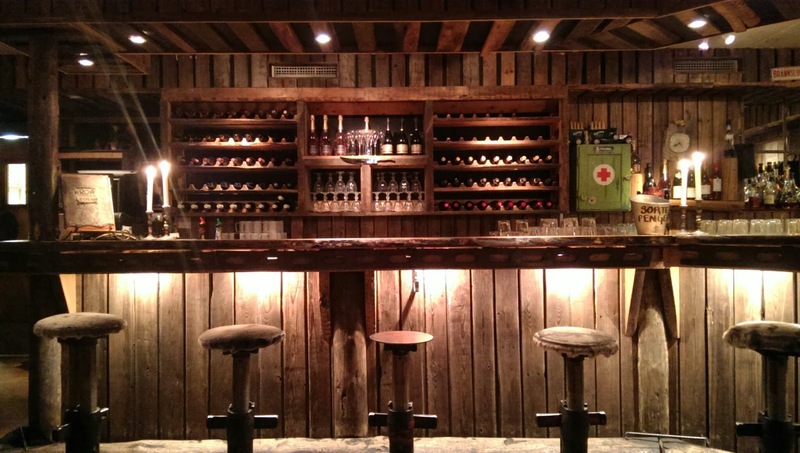 The couple stayed in Longyearbyen and at the Huset for three years, leaving in 2011, and now work out of an eclectic conference facility in the woods of Bergen. It's unfortunate that since their departure, the quality of the food at Huset seems to have suffered dramatically. Our meal in the cafe (we decided to give it a go before forking out for a meal in the fine dining section) was mediocre. My reindeer stew consisted of tiny scraps of meat that could have been anything - anything scrappy and tough, that is, covered in a heavy creamy gravy that was rather monotonous in flavour, perked up only slightly when I tipped in the entire bowl of cranberries with which the dish was served. The night before, I had had a similar dish at Kroa, right in town (Huset is a half-hour walk, one way, unless you have a car or are willing to pay through your nose for a taxi). Kroa offers two specials each day, a catch of the day and a slow cook of the day. The slow cook that night was reindeer in mustard sauce, an entire fillet cooked to medium rare, served with said sauce and an embarrassment of vegetables - green beans, fingerling potatoes, olives, mushrooms, and topped with cranberries. 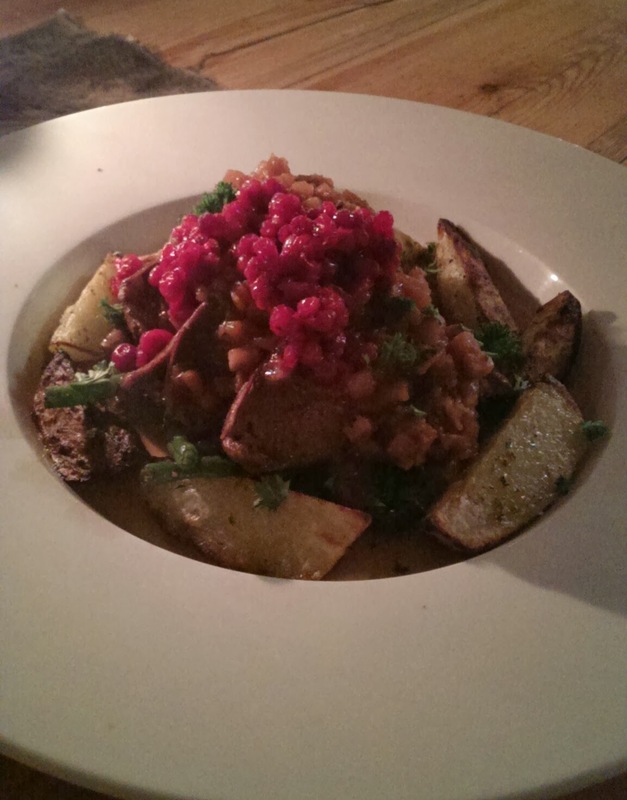 Hearty and complex, it was Arctic soul food at its best. G had a pizza, although Neapolitans would be up in arms about calling it that as it probably bore more similarity to a ciabatta. Nonetheless, it was freshly baked, the base was crisp, and on top of what was essentially a well-risen bread was a delicious and perfectly seasoned topping of olives, beef and jalapeños. 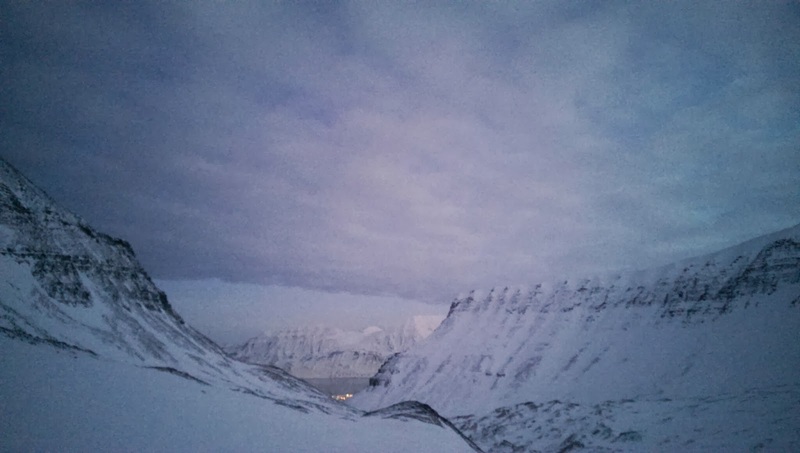 The portions in Longyearbyen were always generous, probably because of the cold, and also perhaps because I wasn't the only one feeling that anxious hunger. Either way, our tummies never rumbled here.